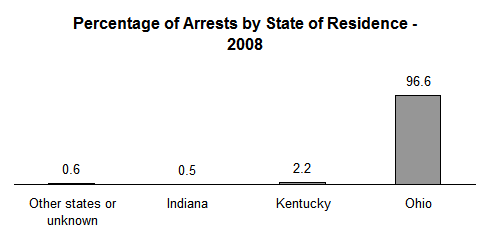 One of the reasons cited by members of Cincinnati City Council's Law and Safety Committee for increasing the penalty for simple possession of marijuana was that people from Kentucky and Indiana were flooding into Cincinnati to buy marijuana, as the penalty for possession in Ohio was less severe than penalties in either of those states. 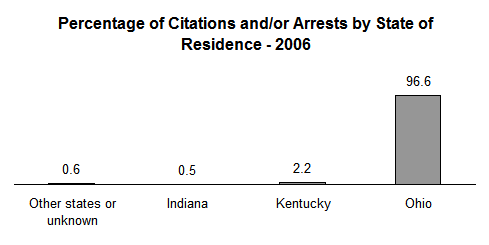 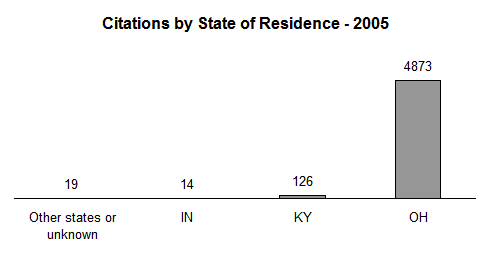 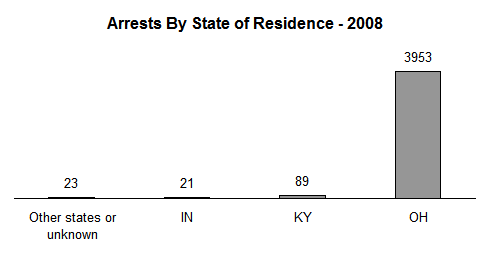 However, an analysis of the states of residence for those ticketed for possession under Ohio law or arrested under 910-23 show that over 96% (96 out of 100) were from Ohio, not from Kentucky, Indiana, or other states. 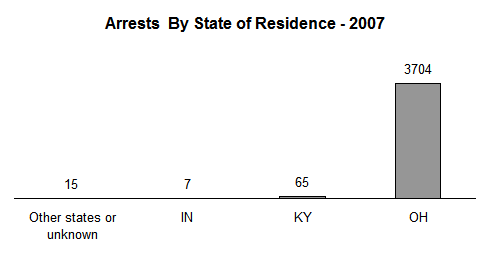 It is clear from these numbers that the majority of people buying marijuana in Cincinnati are from Ohio, not from other states. 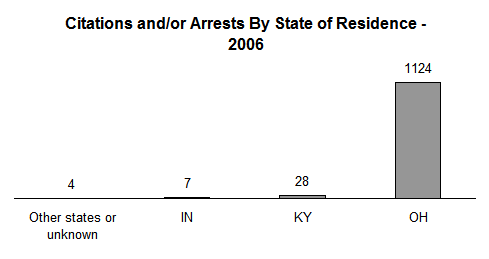 Equally clear is that Ordinance 910-23 has had no deterrent affect on those coming from other states to buy marijuana.